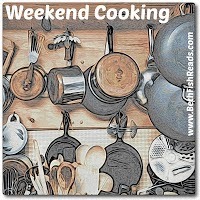 Working full-time can make eating interesting dishes during the week a bit tricky. By the time I get home, I’m usually famished and can end up falling back on a few faithful recipes that I know I can make quickly on at least a couple of evenings. I have a slow cooker but I leave at 7 in the morning so I don’t have the time to be browning ingredients in the morning. Obviously I could do the prep the night before but I’ve never quite got into the habit. There are few recipe books that I feel as though I can use with any regularity during a working week to keep things interesting but this is definitely one of them. 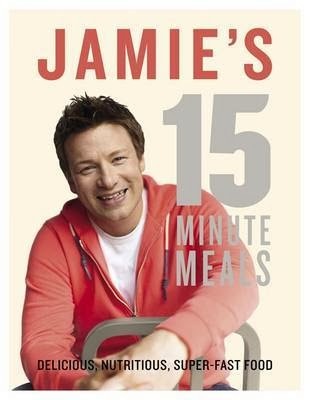 I know that Jamie Oliver has done a couple of programmes in America but I don’t know whether this one has made it over. The concept is probably obvious but this book is packed full of recipes that usually include a main dish and one or two sides that you can whip up in 15 minutes from start to finish that are all healthy and, in my experience so far, delicious. The thing that I love the most about this book is that it has a real mixture of recipes. There are some wonderfully bright and colourful salads that are brilliant in the summer but there are also some more surprising things like various curries and stews that manage to be full of flavour without taking the hours that you might normally expect. Mostly through clever use of slightly random ingredients to achieve quickly what would otherwise take longer. Some of the recipes, for example, use honey to create a sticky glaze. It means that you need to fully read through the list of ingredients before you set out to make one of the recipes but once you’ve made a couple, the same ingredients do pop up time and again so it isn’t unreasonable. As you might expect from a book that is designed with frequent use in mind, there’s plenty of attention given to making sure that the recipes aren’t full of hidden calories. There’s a nutritional guide in the back too so that you can clearly see which are better for a weekend treat and which you can tuck into on a more restrained week night. I used to weight considerably more than I do now so I’m a big fan of anything that help me keep an eye on what I’m chowing down on. My favourite recipe so far is a gorgeous fish tray bake that I’ve made for guests a few times. It looks lavish because it’s full of king prawns, mussels/clams and fish fillets with crispy skin and it’s great for eating with friends because it’s the kind of thing that you can just put in the middle of the table and have everybody tuck into. I’ve taken to serving it with cous cous, fresh bread and a little fennel salad and it’s been a hit every time. So not only is this a book that means you can have home-cooked, nutritious food without slaving over a stove after being at work all day but it has loads of dishes that mean you can entertain friends with plenty of time to spare on drinking nice wine and talking. My only real problem is that some of the recipes have time-saving options that actually result in twice as much time spent cleaning as they probably save. A lot of the chopping, for example, is recommended to be done in a food processor, leaving you with a food processor to pull apart and clean instead of just a knife and chopping board. If you’re even reasonably proficient with a knife or in the kitchen generally, you’ll be able to pick and choose your prep but if you’re going by the book, you might find yourself with quite a bit of washing up to do. Generally, though, I whole-heartedly recommend getting your hands on a copy of this and giving it a try. For mid-week dinners, I’m not sure I know of any books that are better. The Classics Spin Take One: The results are in!